Miami Maritime LawPersonal InjuryPersonal Injury ProtectionInjured on a cruise ship? September 9, 2014by Shamis & Gentile P.A. Miami Maritime Lawyer – Shamis & Gentile, P.A. Most Florida residents and tourists go on cruises for entertainment and pleasure without a care in the world. Although the majority of passengers’ trip will go without any incidents, it is beneficial to know how to handle any possible cruise ship accident in case something goes awry. If there is an injury either at a port or at sea it should be reported immediately, so that treatment can be sought. It is also essential to gather any information from witnesses so you can document the situation photographically or with video, especially if you suspect there has been foul play. There are a variety of circumstances from which an injury could occur. For instance, food poisoning can be quite serious, due to the fact that it could affect multiple passengers on board. In some instances, cruise companies will refund someone’s ticket for things such as food-related illnesses. There is also a real possibility of falling or slipping while on a cruise ship. Therefore, slippery conditions can be dangerous, making it important to keep an eye out for standing water on surfaces near pools or other deck surfaces. Another potentially wet and dangerous spot could be a poorly maintained dance floor. While on a cruise, you should also always be aware of incidents such as a missing person, sexual assault, and possibly death due to negligent behavior. 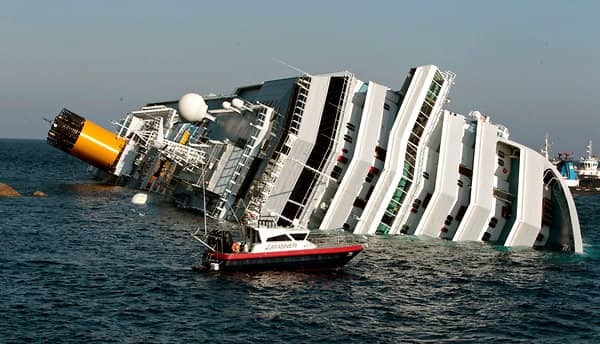 In some particular cases, a cruise ship operator could be considered liable if the ships conditions or the employee’s actions had caused the incident. If you are dealing with any of these situations, we highly recommend you find an attorney that could obtain and organize evidence related to the case. Since every single case is unique, a Miami personal injury lawyer may be able provide more specific information to help identify any negligence and pursue appropriate actions. So do not hesitate to ask for help and contact a Miami Maritime Lawyer at South Florida Injury Attorneys Today!